Carolyn joined BND in 2015 after ten years as an associate broker at another local commercial real estate company. She specializes in sales and lease transactions of all types including both investment and owner-occupied properties. Carolyn earned a BA from Ball State University in Marketing and Public Relations. She is a member of the Indiana Commercial Board of REALTORS® (ICBOR) and the Northeast Indiana Commercial Brokers Association. She is also a member of the prestigious Society of Industrial and Office Realtors (SIOR), which is the highest designation to be awarded to an industrial or office commercial realtor. 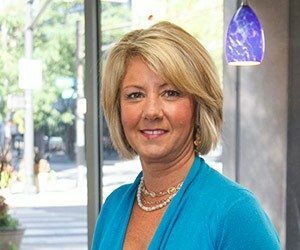 Prior to her real estate career, Carolyn spent more than ten years in the Fort Wayne financial industry, including a position as Vice President of Business Development and Marketing for 3 Rivers. Carolyn is a Fort Wayne native who remains passionate about serving her community through various non-profit boards and committees, including such organizations as SCAN, Fort Wayne Women’s Bureau and the American Heart Association. She has been a YWCA Tribute to Women recipient as well as a Future 40 honoree. She is also an active member of WOWnet and the Risk Management Association. Carolyn and her husband Todd have three children, and they enjoy sports and lake activities.